Pakistani Legendary Singer Reshma. She was born on 1947 in Village of Loha, Tehsil Ratangarh District Churu Bikaner. She was most popular Pakistani legendary Punjabi Old Folk Songs Classical Music Artist. She was great Artist of Pakistan, she sung lot of great songs and create great name in Pakistan Folk Music. She has sung great songs in different languages, and her unforgettable songs are still popular in all over Pakistan and also abroad. She was create good name in Pakistani Classical Music. She got Sitara-e-Imtiaz and she was very popular in India, he sung most popular Song "Lambi Judai" in Bollywood "Film Hero". Reshma did not get any an education but she was great Classical Music Singer and Folk Music Singer. Reshma sung her songs at the Mazars Shrines of the Mystic Saints of Pakistan. She was most popular Artist of Radio Pakistan and Pakistan Television and her Folk Music of Punjab Songs are most demanded in all Provinces of Pakistan ans she was called Master of Pakistani Classical Mousiqui. She was most famous Artist and she had sung Urdu Songs Audio and also Punjabi and other languages. 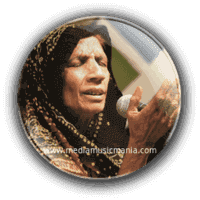 Reshma was started singing when she was twelve years old, she was sung a songs at the shrine of Lal Shahbaaz Qalandar. She sung "Lal Mere Pat" on Radio Pakistan and also she sung in 1960 on Pakistan Television. Reshma was died on 03 November 2013.I have selected below most popular Super Hit songs of Reshma.